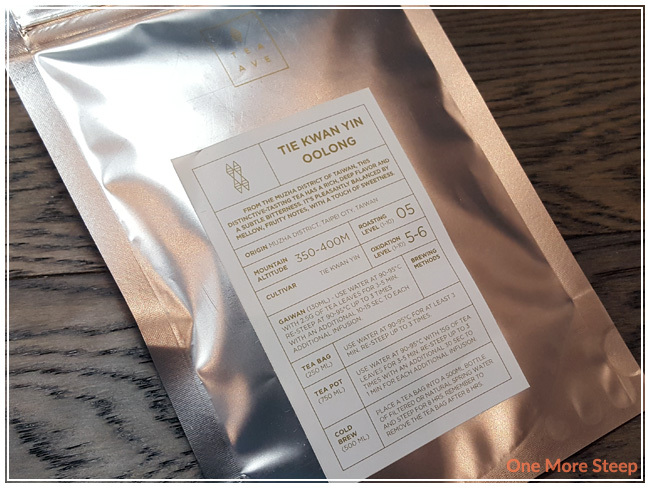 Tie Kwan Yin Oolong from Tea Ave came to me in a sealed (and resealable!) foil pouch. I must say that I really do like Tea Ave’s packaging – it’s minimalistic, has all the information you could want or need about the tea on the label, and it’s functional. 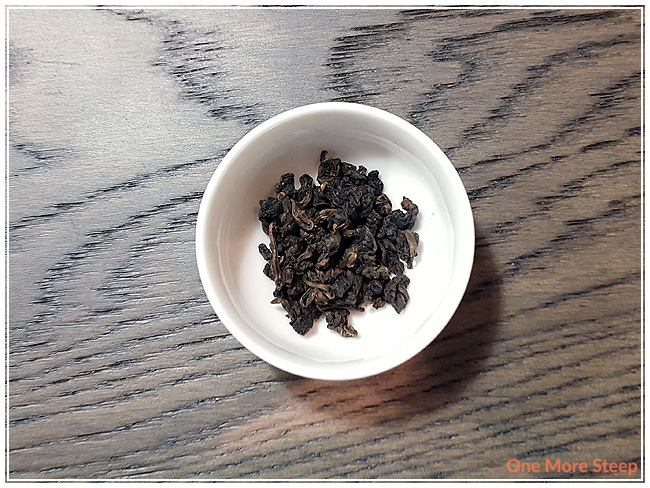 Tie Kwan Yin Oolong is described by Tea Ave as being a “distinctive-tasting tea” and uses words like “subtle bitterness”, “mellow, fruity notes” and “sweetness” to describe it. Bitter? Fruity? Sweet? I do love a tea challenge. Tie Kwan Yin Oolong has a beautiful colour – all of the leaves are tightly rolled up and they have a dark reddish brown colour to the leaves. The dry leaf has notes of plum, pine needle, and a general earthiness that I find hard to pin point what it reminds me of. Either way, the combination of what I smell is intriguing. Tea Ave has steeping recommendations for steeping Tie Kwan Yin Oolong in a gaiwan, in a tea bag, a tea pot, or as a cold brew. Because I’m steeping in a teapot, I’ll share those steeping instructions with you. Tea Ave recommends steeping in 90-95°C (194-203°F) water for 3-5 minutes, and suggests resteeping up to 3 times (with an additional 30 seconds to 1 minute for each additional infusion). My initial steep of Tie Kwan Yin Oolong was in 91°C (195°F) water for 3 minutes. Tie Kwan Yin Oolong steeps to a golden orange. The aroma that I found wafting up from the cup, I think I would describe it as “light woodsy” – there was some definite earthy aromas, pine fragrance. I could also smell what reminded me of dried stone fruits (so like dried apricots and plums). 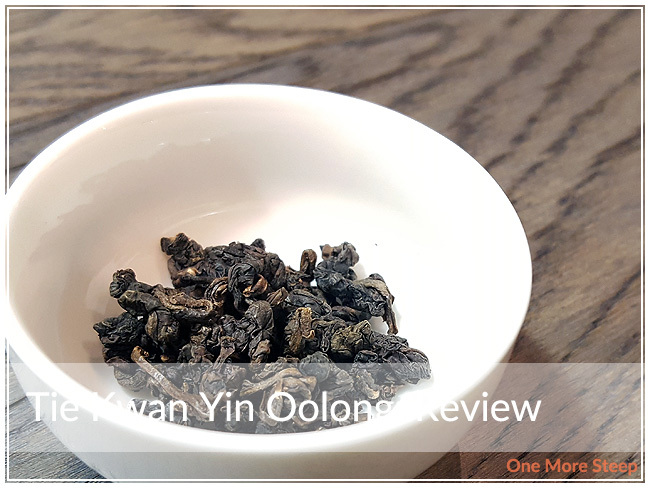 The flavour from this oolong was interesting – I could definitely taste some fruity essence (plum flavour! ), some deep woody/pine flavour, I did note some honeyed sweetness at the beginning of each sip that really highlighted the plum flavour – and (true to the description) I did note a very mild bitterness at the end of each sip. It wasn’t off-putting, it was just a little bit and it didn’t linger – which I found good. It was a complex cup of tea though – the sweetness is offset by the bitterness, and the fruity flavour gets balanced out by the woodsy notes. I had to resteep Tie Kwan Yin. Tea Ave suggested resteeping up to three times, so I had to do four times (just for fun). I found that the flavours were strongest for the initial, first, and second resteeps. 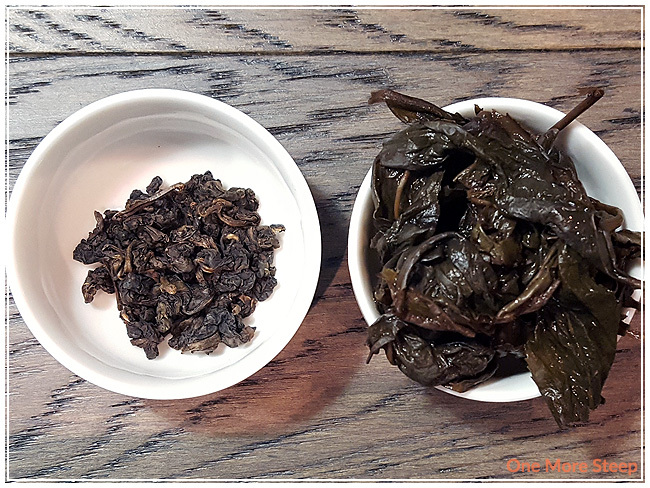 The third resteep was beginning to get a bit watery, and the fourth was pretty much forgettable – so three resteeps was right on the money for this oolong. I found the bitterness got weaker with each subsequent steep, while the sweetness mellowed. The woody/pine flavours got stronger, but the plum got bolder (without becoming more sweet). It made for a different cup of tea with each steep. I loved Tea Ave’s Tie Kwan Yin Oolong. 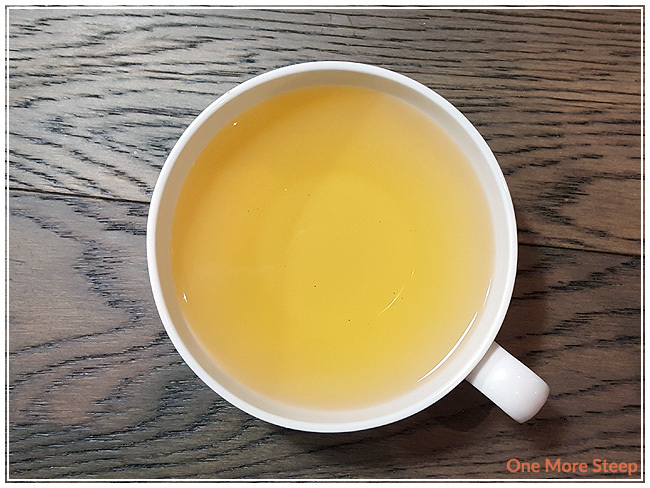 The complex aromas and flavours of this oolong, and how the flavours change with each subsequent steep makes this oolong both interesting and tasty. I really appreciated how the bitterness subsided with each steep, it make this tea just so much more enjoyable – I don’t think I would have enjoyed it as much it had become stronger with each steep. This is a tea that I would definitely recommend resteeping over and over to experience the changes in flavour, and to also savour with each steep because it is a fun experience. I loved the plum and woodsy flavours in this oolong so much.